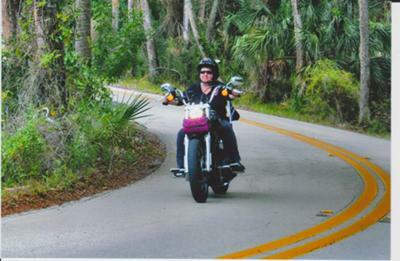 I just bought my bike in mid-February and other than riding it home from the dealer, the first time I really got to ride her was in Daytona during bike week. I've got about 700 miles on her so far and absolutely love this bike! Congrats on the new bike. It looks like you are riding on The Loop. I love that ride! Hey Laura. Congrats on your new ride. Stellar bike for sure.